Homework - Welcome To Mrs. Zavernik's Site! 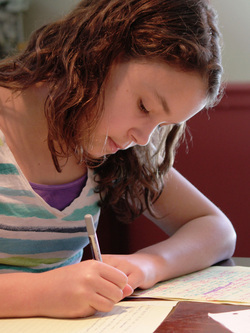 Our homework policy is quite simple: Do your homework and you'll have success! Please set aside time each night to practice the skills we've learned in our classroom and you'll be successful! Remember, it's not always easy but it's always worth it! Please have a conversation with your parents to determine a sacred homework time that works best for your family each night! Remember: A quiet place is best, where you'll have ZERO distractions/temptations to procrastinate!